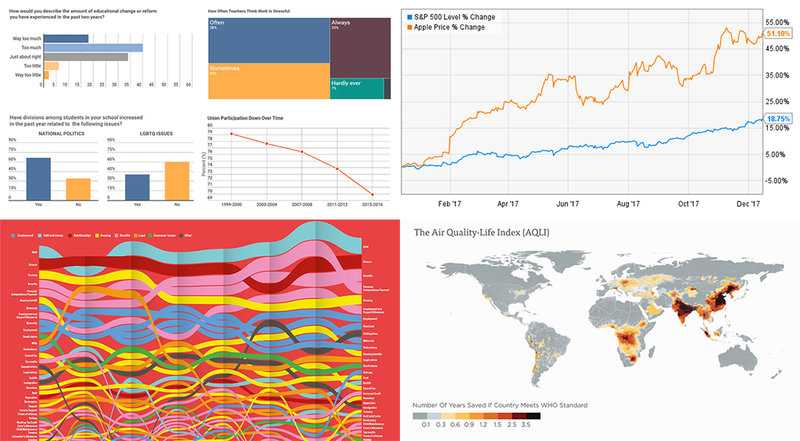 Check out another recap of new cool data visualization examples within the framework of our DataViz Weekly feature! 10 charts showing the rapid growth of AI. 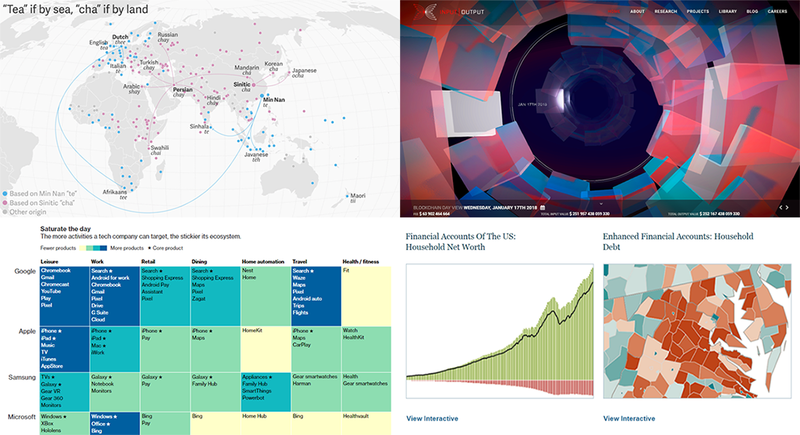 Dataviz is a wonderful, powerful tool that helps us perceive the information better. From simple static charts to impressive complex interactive visualization projects, various solutions can be useful to communicate and study trends and big pictures as well as to drill down to specific details, depending on the situation and objectives. 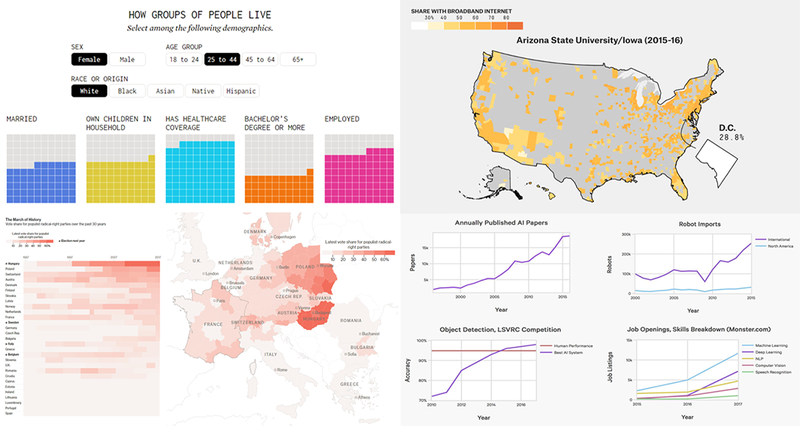 Follow Data Visualization Weekly on our blog to see some good examples of dataviz and how it assists in revealing something hidden and telling interesting stories. interactive visualization of the blockchain technology. Hi there! 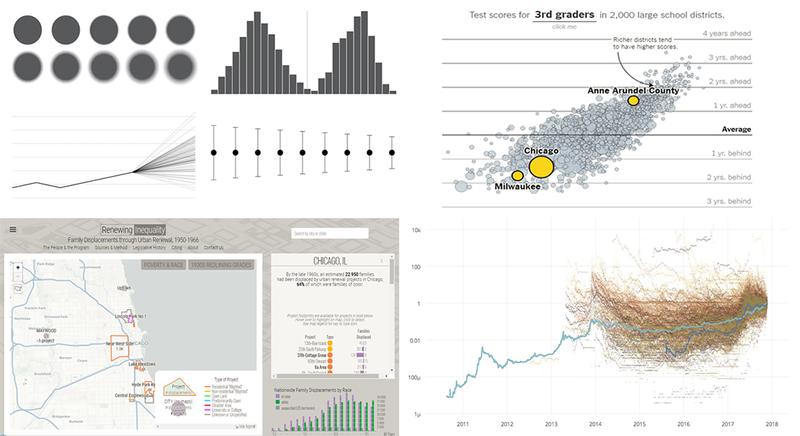 Welcome to the new Data Visualization Weekly post! We’ve gathered another four interesting visualizations and data story examples that we hope you’ll like. Yay! We are already living in the new 2018 year! And may it bring you plenty of success, joy and happiness!